WISHBONE ASH Get Ready (1981 UK 7″ b/w Kicks On The Street, No picture sleeve MCA726). Get Ready was a cover of the Temptations hit and, although not fairing too well with the bands purist fans, was a more than adequate cover and a valid – if commercially unsuccessful – attempt at singles success. The B side is a memorable, catchy but pure Hard Rock song! ‘Kicks on the Street’ is a melodic uptempo Rock track. A heavier production would’ve made this a Hard Rock song with quite a lot of punch, but it’s also quite enjoyable the way it is. 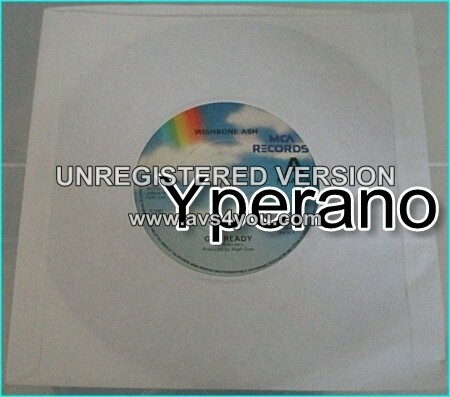 SKU: YP-2395 Categories: All Genres, AOR, Hard Rock, Rock, Search by Media Type, 7"